southern orders : WHY IN THE NAME OF GOD AND ALL THAT IS HOLY, DON'T CATHOLICS AROUND THE WORLD DO WHAT SHROVE TUESDAY IS MEANT TO DO? WHY O WHY? 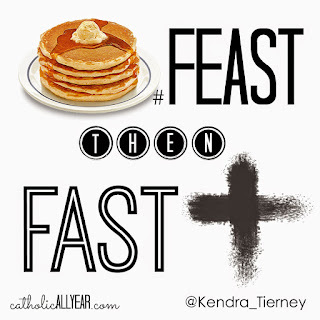 WHY IN THE NAME OF GOD AND ALL THAT IS HOLY, DON'T CATHOLICS AROUND THE WORLD DO WHAT SHROVE TUESDAY IS MEANT TO DO? WHY O WHY? 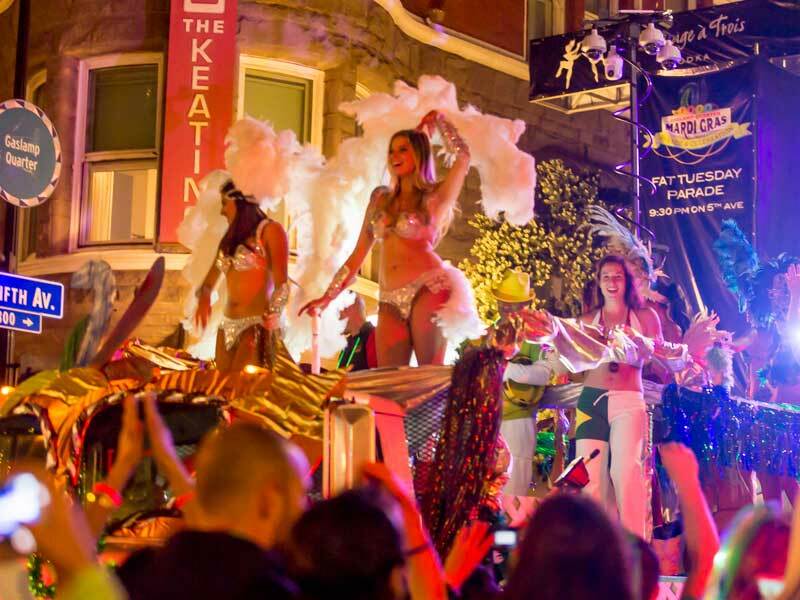 How did Shrove Tuesday become Fat Tuesday or Mardi Gras and a day of excess rather than a day to prepare for Ash Wednesday. How did pancakes fits into all of this as well? 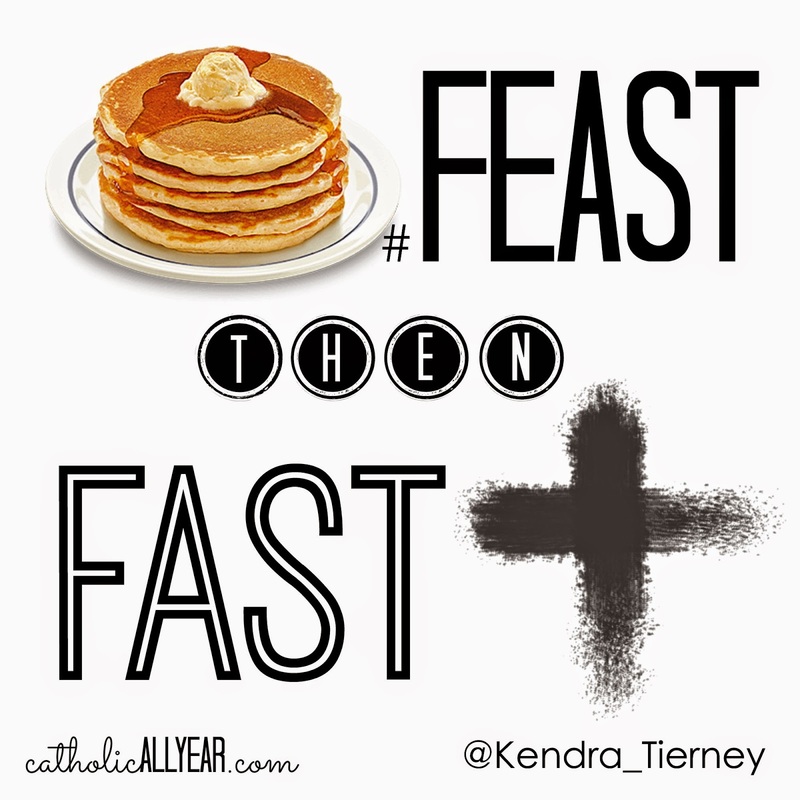 And do Catholics eat pancakes today???????????????????????????????????????????? And in that same spirit -- For those who can, and no matter what your views on immigration may be, please join us for an interfaith program on “Immigration at the Crossroads” at 7:30 p.m. this evening in the Homer and Ruth Drake Field House at Five Star Stadium on the Mercer University Macon campus. We will have some Dreamer testimonies, an interfaith panel discussion with faith leaders from the three Abrahamic faith traditions (Judaism, Christianity, and Islam), audience Q&A, and then a short interfaith prayer vigil. We are trying to rise above partisan politics and ideology to consider these contentious immigration issues prayerfully from a better place that transcends the divisions between liberal and conservative, Democrat and Republican, etc. Are you having testimonials from the parents of Kate Steinle, etc., whose lives were ruined because of illegal aliens? Sorry but the whole premises of your gathering is political. Maybe they can have testimonials from the 168 families that lost loved ones, not to mention the families of the 680 who were injured in the bombing of the Murrah Federal Building in Oklahoma City. Their lives were ruined by a home grown, born and bred 'Murican, Timothy McVeigh, born April 23, 1968, Lockport, New York, U.S.
Where, oh where, is your outrage now? Sorry, it is, shall we say, selective. The big difference, genius, is that the illegals are illegal and have no right to be here in the first place. Sine qua non, these deaths would not have occured. If the Dems, the Party of Intrinsic Evil, would stop aborting their future voters, they wouldn't need illegals. And in States like Kalifornia, illegals vote in large numbers because they can get a driver's license and that's all they need to vote. Have you no decency, have you no shame? Well, cheesecake is always better than pancakes. ;) Happy Mardi Gras! No, the difference is 167 dead. You make POLITICAL hay over the immigration status of one, yet you seem to excuse, or at least overlook the fact that 99% of the murders in the US are committed by US citizens. It's easy for you to hold this glaring double standard, given your sense of moral superiority and the stranglehold the President and his corrupt administration have on your capacity to think. I assume you did not attend the program or watch the live stream. Perhaps you should have. You might have learned something, including how the panelists responded to the question we asked about understandable concerns and fears regarding the rule of law, crime rates, the economy, cultural identity, etc. The fact remains, which YOU cannot refute, is but for them being here illegally, these folks wouldn't have died. That is why the Dems will take a shellacking this November (contrary to the polling by fake news) because the Dems are siding with illegal aliens, including dangerous ones, against American citizens. And let's not forget the Dems war on the innocent unborn. Nothing says corruption like the mafia like Democratic party as embodied in the head mafiosa, Obama, who routinely flouted the rule of law with an accommodating media bowing down. His corruption is now being exposed by the Trump administration so even the useful idiots might get it. The looney left has a patent on virtue signalling, so knock it off with the superiority twaddle which is just another form of projection on your part. Good grief! You did not attend and you did not watch and yet you assume, or should I say presume? First of all, get with the program. The Great Leader wants to grant relief to the Dreamers. Didn’t you get the memo? Second, why do you continue to do Putin’s bidding and engage in these divisive tactics? Be a patriot and don’t allow yourself to be sucked into his little game. Or didn’t you get that memo either? You should have. It was on prominent display on Capitol Hill yesterday with our intelligence services testifying before Congress. Third, and related, enough with the partisan politics—on both sides. It is just wrong to use these sorts of great moral issues—abortion, immigration and what to do about those who came here through no fault of their own, etc.—for venal political advantage. If the immigrant crime rate is much lower than that of the native born (which seems to be the consensus view, although some do question the statistics), then logically, if your main concern is crime, we should banish all the native born and replace them with immigrants, no? P.S. By the way, that would mean I get to stay but you have to go. How do you like them apples? I have enough with lefties, both lay and clerical, to know that what appears on the surface is not the reality of what they are trying to do. Hell, the Dems won't even say MG-13 gang members should be deported. Thanks for the laughs. Granting relief to the Dreamers does not mean they get to vote! That's why the Dems are working to sabotage the deal Trump is offering. Didn't you get the memo from the DNC? Actually your assertion about immigrant crime statistics being lower is false and you know it. It works if you conflate legal with illegal because,quelle suprise, immigrants who come here legally, you know, follow the law, do not commit crimes in the numbers that the illegals do. 100% of illegal immigrants are criminals. You are the one still engaging in partisan politics. I have left it behind. See the third point in my earlier post. I read the article in the link and also read very quickly thought the reports linked in the article as I do not have much time at the moment. I have no problem at all with a desire to establish the truth of the matter. In fact, a large part of our general problem in the Republic nowadays is a disregard for the truth. I have commented before on how important it is to be honest and I repeat it again here. This said, we need the whole truth and nothing but the truth, to quote a phrase. This means that we need not only a breakdown of the types of crime for which undocumented immigrants are incarcerated but also some numbers for each of these categories. I did not see any figures. For example, the federal crimes list in the GAO Report includes immigration crimes. And the most commonly prosecuted federal crime overall is unlawful entry or re-entry (to Marc’s point). And the state crimes list includes things like driving without a license, public nuisance and intoxication etc. as well as much more serious crimes. If you have time and inclination, perhaps you could find these statistics for us. Please explain to me how a six year old (the average age the Dreamers were brought to this country), or indeed any minor, can commit the crime of unlawful entry. Certainly a minor does not accumulate unlawful presence under INA §212(a)(9)(B). No. My comment was a joke. The "Dreamers" average age was not 6, that is a left-wing talking point. I understand that 95% of Dreamers have not graduated from high school and many do not speak English. Many Dreamers are criminals, and not for jaywalking. The Democratic Party is intrinsically evil and they are no longer serious or intellectually honest. By the way, I used to be a Democratic Party official but decided my Faith and integrity was more important than votes and holding power. Unless Nancy Pelosi makes a good confession and asks for God's forgiveness for promoting abortions of the innocent unborn she is going to hell as is any so-called priest who votes for them. It is akin to voting for Stalin, Mao or Adolph Hitler. Pius XI if he were alive would condemn the modern Democratic Party as he did the Communists, Nazis, and Fascists. There are more than 43 million immigrants in the U.S., according to the Migration Policy Institute. 2. About 11 million are undocumented immigrants. 3. An estimated 22 percent of undocumented immigrants are under age 25, according to the Department of Homeland Security. 4. The Migration Policy Institute said in 2016 that about 1.9 million people were eligible for DACA. 5. About 788,000 have had their requests for DACA status accepted, according to U.S. Citizenship and Immigration Services. 6. In order to apply for DACA, immigrants had to be younger than 31 on June 15, 2012. 7. They must have come to the U.S. before turning 16. They must have lived in the U.S. since June 15, 2007. 8. In a Center for American Progress survey of roughly 3,000 DACA recipients, nine-tenths of respondents said they had jobs. 9. Their average hourly wage was $17.46 an hour, up from $10.29 before receiving DACA. 10. About 72 percent of respondents were in higher education. 11. After getting DACA, nearly 80 percent of respondents said they got driver's licenses. About half became organ donors. 12. A Morning Consult poll from April found that 56 percent of registered voters said Dreamers, another name for people who came to the U.S. as kids, "should be allowed to stay and become citizens if they meet certain requirements." 13. The Center for American Progress estimated that the U.S. would lose about $460 billion in GDP over the next 10 years without DACA. 14. About 700,000 people could lose their jobs. 15. More than 1,800 governors, attorneys general, mayors, state representatives, judges, police chiefs and other leaders signed onto a letter supporting Dreamers and DACA recipients. Thank you for sharing those statistics. If they are intended for TJM, I would like to think that he is actually interested in learning something new to get a more complete picture. I fear, however, that he is mainly interested in bashing the Democratic (aka “Abortion”) Party, which once again is a distraction tactic that does not address the issue under discussion. TJM: See above for my response to your irrelevant “Abortion Party” bashing. I will try to respond to your relevant claims about the Dreamers later when I have more time (right now I have to prepare for class). First, “many” is far too vague. We need figures. We await TJM’s response to this response and Anonymous’ earlier response. ARE CONFESSIONS ON THE UPSWING? WILL THE POPE SWAT CARDINAL SARAH OVER THIS? WHAT'S WRONG WITH THESE PHOTOS? KYRIE ELISON! YOU CAN'T MAKE THIS STUFF UP! FIVE YEARS AND ONE DAY OUT, WHAT IF?